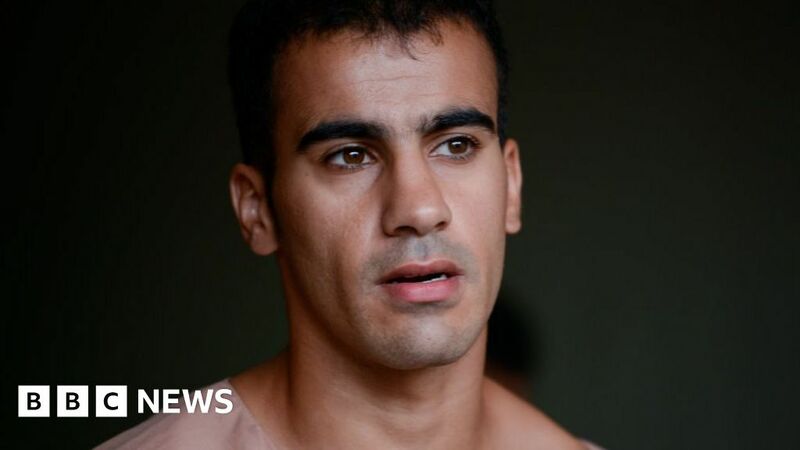 Refugee player Hakeem al-Araibi returned to Australia following his release from a prison in Thailand. The Bahraini national was detained for two months in prison in Bangkok after he was arrested on a notice of Interpol issued by Bahrain. Arabian Arabs ended their extradition attempts on Monday, followed by an international human rights campaign. Hundreds of supporters rejoiced at the arrival of 25-year-old footballer at Melbourne Airport on Tuesday. "I would like to thank Australia Amazingly see all the people here and all Australians who supported me," he told the crowd gathered outside the airport. While in Australia, Bahrain was judged for 10 years by destroying the police station, charges he had denied. Human rights activists al-Araibi warned, as Bahra's critics of the authorities, the torture might face the return of the Arab kingdom. A campaign to secure his release was led by Craig Foster, a former Australian national football captain and TV host, who won lobbying efforts from FIFA's international governing body and the International Olympic Committee. "Maybe he is the most famous young man in Australia today. A brave young man, a human rights defender we are proud of in all of Australia, fought so hard to come back," said Mr. Foster while standing in next to al-Araibi. Australian Prime Minister Scott Morrison tweeted early Monday: "We look forward to looking at you at home, Hakeem." On Monday, of the BBC's Thai that they released al-Araibi because Bahrain was not looking for his extradition. Foreign minister of Bahrain said that despite the court's extradition proceedings, the player's stand is still standing. "The Kingdom of Bahrain reaffirms its right to pursue all the necessary legal actions against Mr al-Araibi," it added. The time before his arrival at home, his wife told the BBC he was very grateful for efforts in lobbying the Australian and public government, and the international football community. "I have a smile all the time on my face and I can not stop crying – I'm happy," said the 24-year-old who would not name. "I prayed and prayed that he would come back to me, and at last our nightmares would end."